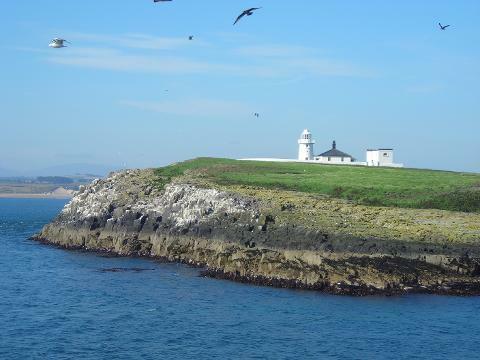 This trip lasts approximately 2½ hours including one hour spent on Inner Farne. 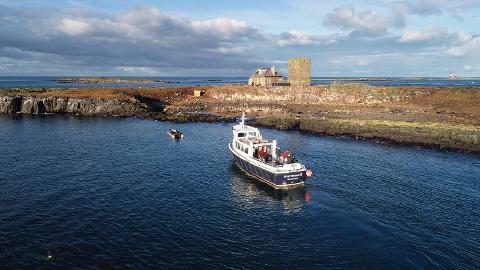 The tour includes a cruise around all the Farne Islands, viewing the sea birds on the cliff faces, visiting the Grey Seal colonies and also follows the route Grace Darling and her father took during their heroic rescue in 1838. A full commentary is given en route and the boat stops at Inner Farne for one hour. There is a walkway round the island suitable for disabled visitors and the National Trust have an Information Centre and public toilets on the island. At 16 acres, Inner Farne is the largest of the Farne Islands and in the Summer months it becomes home to many thousands of nesting seabirds. These birds include Puffins, Guillemots, Razorbills, Sandwich Terns, Common Terns, Roseate Terns, Arctic Terns, Shags, Cormorants and Eider Ducks. 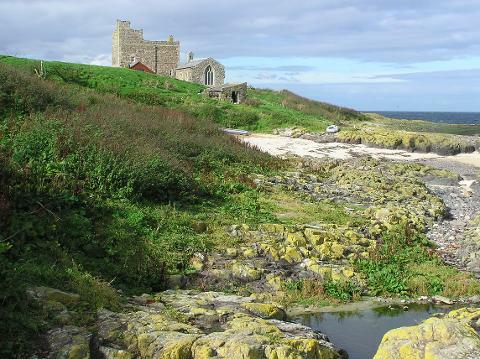 In the year 678 Inner Farne was also home to St Cuthbert. After 12 years as Prior of Lindisfarne, St.Cuthbert retired to Inner Farne until he became Bishop of Lindisfarne in 684. He returned to Inner Farne when his health deteriorated and died there on 20th March 687. 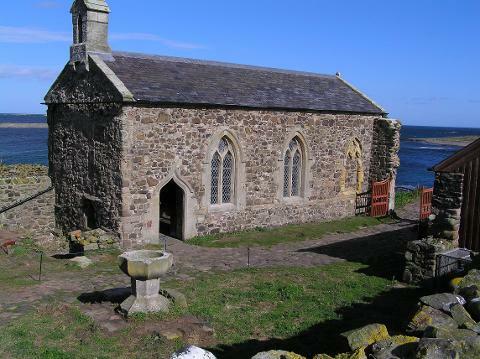 A church was built on the island in 1370 dedicated to St Cuthbert and is open to the public today. Apart from the Inner Farne Lighthouse, all the buildings on the island date from the monastic period. The "Fishehouse" situated beside the landing jetty is all that remains of the Guest House which was built by St Cuthbert for his visitors. In 1540 a Prior named Castell built the "Pele Tower" to house the monks who lived on the island. The Tower is now home to the National Trust Rangers who live there for 9 months of the year to look after the Island and its' wildlife.